A contingency search is the most common recruiting service provided by search firms to corporate employers. An employer simultaneously accepts resumes from several different recruiters, increasing competition between the recruiters to submit their best candidates. Unfortunately, this increases the responsibility of the employer to compare candidates, conduct background checks, and match credentials to job requirements. A placement fee is only owed to the search firm whose candidate is ultimately hired, and the fee becomes payable only after the candidate commences employment. Most corporate employers limit the number of recruiters from whom they accept resumes, having concluded that three or four recruiters are sufficient to provide a diversity of candidates without complicating the recruiting process. An exclusive search occurs when an employer chooses one search firm, on an exclusive basis, to find candidates for a vacant position. 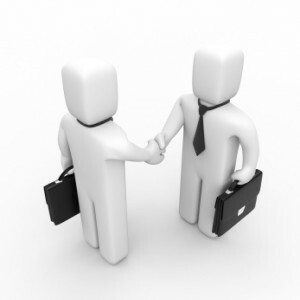 An exclusive search fosters a closer working relationship between the employer and the search firm. Many of the employer’s tasks, creating a detailed hiring profile, pre-interviewing candidates, checking references, and convincing qualified candidates to accept the job are undertaken by the search firm. The search firm commits greater resources to filling the position, intensifying the recruiting effort and creating a close partnership with the employer. As with contingency searches, fees are not owed until the candidate is hired and employment commences. Like an exclusive search, a retainer search involves an agreement by the employer to use only one search firm, upon payment of a retainer at the outset of the recruiting process. The search firm commits its full resources to filling the position as quickly as possible, assuming many of the employer’s responsibilities and promising an intensified partnership with the corporate employer. Retainer searches are especially useful for companies seeking to find and hire qualified candidates in a hurry or to fill positions in offices too far from the employer’s headquarters to allow multiple interviews. Corporate Dynamix is experienced at conducting searches on a contingency, exclusive, and retainer basis. Good search firms look for ways to add value to their client relationships. Compensation and personality assessment are two areas; advice on position titles, organizational structures, and interviewing techniques are others. Some industry-specific firms – like Corporate Dynamix – are able to go beyond adding value to the hiring process to offer suggestions for potential partnerships, products, sources of capital, and even acquisitions. After all, who else works with as many companies within your industry as a search firm who specializes in your industry? Corporate Dynamix specializes ONLY in the field of Technology, for Sales and Sales Management positions ONLY, and our placements are confined to the Western region. What you pay in search fees to any recruiter – contingency, exclusive or retainer – should be based on a simple formula: Competence x Commitment. Competence is defined by a combination of industry knowledge and recruiting skills that translate into an ability to fill a position capably and quickly. Commitment means a willingness to dedicate sufficient time and resources to do so. In essence, the more knowledgeable, experienced, talented, and dedicated the recruiter, the more you should be willing to pay. Fees you will hear typically range from 20% to 33 1/3% of either base salary only OR of total estimated first-year compensation (salary and other cash, including bonuses).